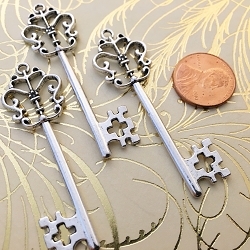 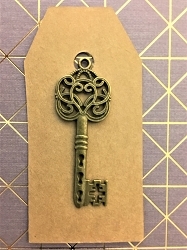 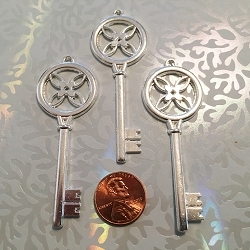 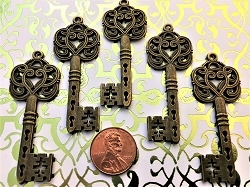 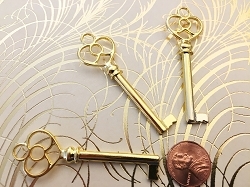 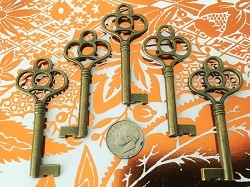 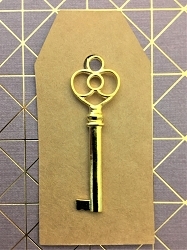 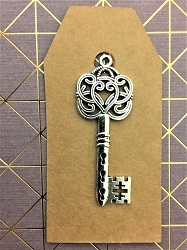 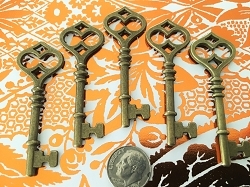 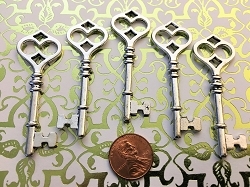 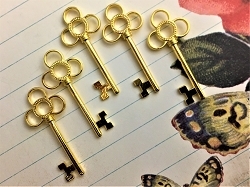 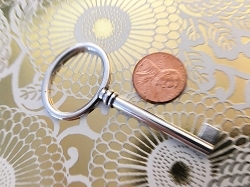 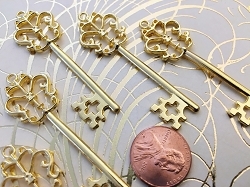 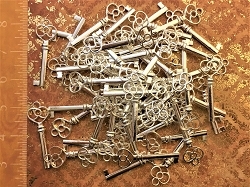 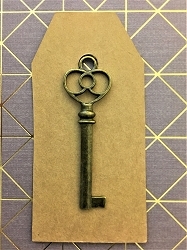 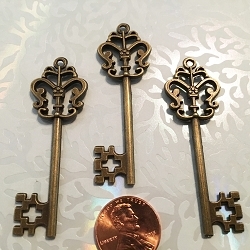 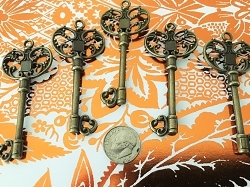 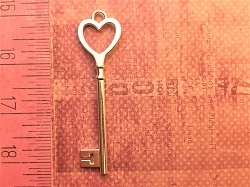 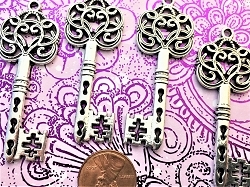 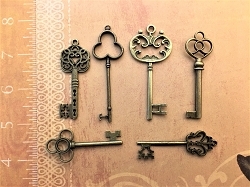 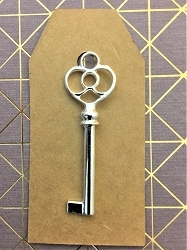 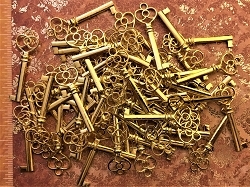 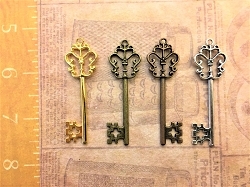 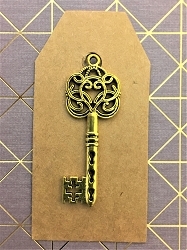 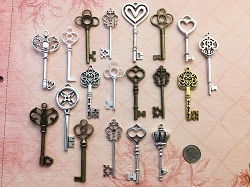 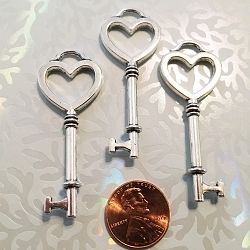 Matchless assembly of stunning silver heirloom vintage replica skeleton keys! 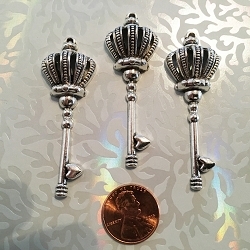 Flowers, crowns, hearts and other themes both ornate and sublime will allow you to craft delightful fantasies to thrill and excite your guests and customers. 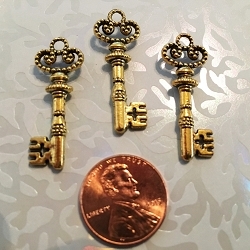 Between 2.25 and 2.5" tall! 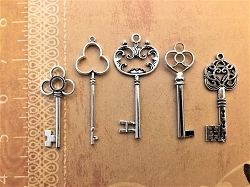 Cast of Zinc alloy metal. 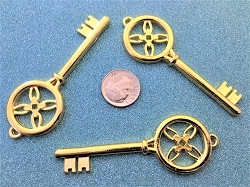 Most are the same on both sides, a few are flat-backed. 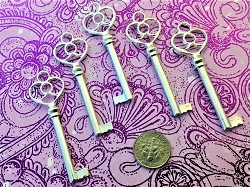 They're about as big as you're going to find, so think central focal points... accents on floral wrist bands or boutonnieres, centerpieces, invitations to parties or weddings, housewarming gifts, tree ornaments, book markers, scrap booking, steampunk projects - from the dramatic to the exhilarating, just add your own talent! 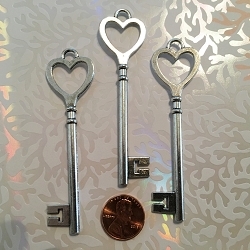 They'll never open anything other than the door to your love's heart, they're not actual working keys! 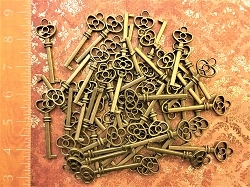 Quantity of 25 in this ad, but any amount is available if you email and ask. 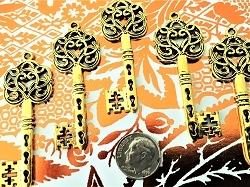 Just contact me if International shipping to your country is not on my list!